Dario Carugo is a Lecturer in the Bioengineering Science Research Group at the Faculty of Engineering and Physical Sciences, and visiting researcher at the University of Oxford (Institute of Biomedical Engineering). He is the coordinator of the Micro & Nano Therapies (MiNaTher.) research team in Southampton. He is Short-Term Scientific Mission (STSM) Coordinator and Core Group Member of the “European network of multidisciplinary research to improve the urinary stents” (ENIUS). He is Editorial Board member of Micromachines (MDPI) and Biomedical Microdevices (Springer). Dario holds BSc and MSc degrees in Biomedical Engineering from Politecnico di Milano, where he specialised in Biological Fluid Dynamics & Bio-Machines. He obtained a PhD in Bioengineering Sciences at the University of Southampton in 2012, with the distinction of awards for the Best Medical Engineering PhD Thesis (Institution of Mechanical Engineers, IMechE) and the UK Life Sciences Postgraduate of the Year Award (from BBSRC and DoH). 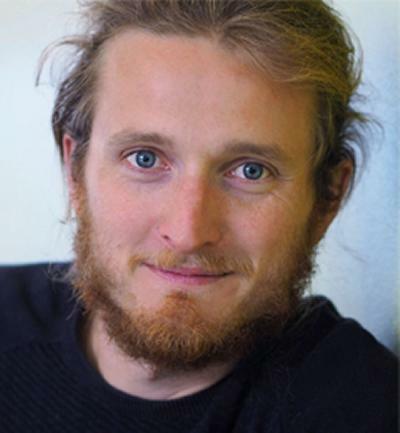 He worked as a PostDoctoral researcher at the University of Southampton (where he was awarded an EPSRC Doctoral Prize) and at the University of Oxford (BUBBL group, Institute of Biomedical Engineering). In Oxford he held a Junior Research Fellowship in Engineering at Jesus College. In 2016 he was awarded a New Frontiers Fellowship by the University of Southampton, where he was subsequently appointed to a lecturership in 2018. Dario is the coordinator of the Micro & Nano Therapies (MiNaTher.) research team (click HERE for additional information). He collaborates with biomedical enterprises, government bodies, and clinical institutions to develop innovative therapeutic devices. - Development of physical models of the human vasculature for evaluating the efficacy of therapeutic agents against vein diseases and blood clots. - Development of computational and experimental models to investigate formation of encrustation and biofilms in endourological devices. - Engineering ultrasound-responsive drug carriers to promote bone fracture repair. - Development of ultrasound-responsive agents conjugated with bioactive compounds or gases, to induce dispersal of bacterial biofilms. - Manufacturing of microfluidic and sonofluidic platforms that improve cost-effectiveness, ease of use, and utility in non-specialised environments. - Continuous flow production of drug delivery systems, including liposomes, niosomes, polymeric nanoparticles, and ultrasound-responsive agents. Dario is also coordinator of the Bioengineering Seminar Series at Southampton (LINK). Human Biology & Systems Physiology (MEDI6226), where he lectures about cardiovascular and urinary systems. ThermoFluids (FEEG1003), where he runs tutorial sessions. Design and Computing (FEEG1001), where he coordinates the Intensive Design Activity (IDA). Electrical and Electronic Systems (FEEG1004), where he coordinates the Laboratory sessions. He also supervises IP, MSc, and GDP projects.